This video shows the process for hanging a hammock indoors. I often get asked how to hang a hammock inside. This is actually very easy to accomplish. I’ve been using large metal eye bolts for years, but there are also hanging kits specifically made for hammocks, including the ENO Hanging Kit. If you are installing a single hardware piece like the eye bolt, be sure to drill the hole in the center of the stud. The minimum hang distance for a hammock, generally speaking, is about 9 ft (2.7 m), but much depends on what hammock you have. A lot of bedrooms are built with 10 or 12 ft (3 to 3.6 m) floor space, but if you have a small room, you could also go diagonally across a room for more distance. Wall studs are easily found on corners or around window frames, but using a stud finder or using the nail method are good ways to make sure you are drilling or installing in the right place. One the hardware is installed, hang your hammock! I use various hardware pieces I’ve collected over the years, including large steel S-hooks, steel carabiners, and even short lengths of chain. The chain is a nice because it provides variable hang points every few inches. I also often use a short length of webbing that I hook on to the eye bolt and then use the Becket Hitch to tie off the hammock. This is a traditional method used in South America. Rentals! Yes, I’ve been there. With some rentals you can do it, just consider it like nailing a picture frame to the wall (unless that is also outlawed). Patching the small hole is easy. However, in strict cases, you’ve got to do something else. What I did for a buddy of mine was to use a hammock stand indoors. Like you mentioned, building a custom frame is sometimes necessary. If it were me, I would try a 4×4 stud against the wall with a horizontal cross beam that goes along the ceiling and drill into this frame. Hi Derek, I was wondering about your 4 x 4 idea for hanging indoors…how does that stay in place? I need to append that comment. It should be a 2×4 stud. Anyway, you are basically slapping a 2×4 stud to the wall and attaching the hammock to it. You can pre-drill or even counter sink an eye bolt or other attach point. When you say ” slap” do you mean nail it to the wall? Shoot. Go ahead and hang it. That is what hole patch (simple drywall compound) is for… Would be small hole easy fix when you decide to move! I was looking into this for a while, and I read that studs nowdays are often not dense enough to support indoor hammocking. Old houses with old studs – they have dense wood which will be suitable. How can I know if my studs are strong enough? Obviously I don’t want to get it set up, get in the hammock, and pull two walls down…. My mistake! I wasn’t trying to disparage your post – I actually find it encouraging and would love to hang a hammock in the house. Particularly the garage. Quick question though – I guess the forces need to stay perpendicular to the wall? No off angles, right? That would pull the stud in the wrong way? Jay, no worries mate! I’m not offended in the least. I was actually trying to reply on my phone and kept making mistakes, so my apologies for a half-written response (I hope I’ve fixed it all now). You have valid concerns. Like building something for the first time, you’ve got to test it out to make sure it works. Over time you begin to trust the work because you have more experience and knowledge. Hanging hammocks is the same. Some people are really nervous trying a hammock out the first time, trusting the ropes will hold them, or hoping the hammock won’t rip. No matter where you hang your hammock, you want the suspension to come off the anchor point at an angle. This reduces the force on the anchor point significantly. Check out my hang calculator to test this. 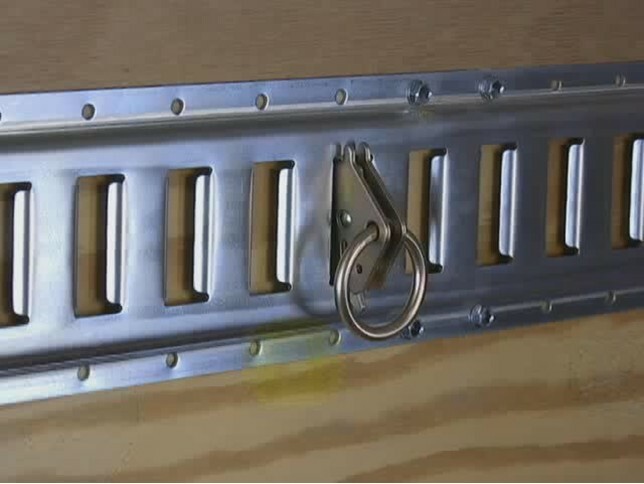 The eye bolts or other bolted hardware should go straight into the wood stud, perpendicular to the wood. No angles. The hammock, however, does hang at an angle. If you are really concerned, contact a contractor. I did a quick search and found one article describing wood densities and warning of sub-standard wood. Curiously, the article came from a lumber yard who recommended using their premium cut wood. I’ve heard from others who have been very concerned about damaging their 2×4 studs. I’ve drilled dozens of holes and installed several eye bolts in different homes and never had a problem. Maybe I live on the wild side, but I think we may be over analyzing this. If your home has sub-par 2x4s, you probably have a bigger problem than just installing a hammock. Just make sure you drill the hole in the center of the stud. A stud finder is a great way to do this. I also prefer to put the anchors near door and window frames where there is additional supports and beams. Hi Derek, I have an extended room that has cinder block walls (hollow) and not a lot of studs (the studs that are there are very narrow). Is there a way to hang the hammock without damaging the wall structure as well as making sure the hammock doesn’t collapse while being used? That goes beyond my skill set. I expect it would work but I would talk with a builder contractor. Thanks for this! Great info. Uh, as someone with a lot of experience in construction and building maintenance, the possible issue here is metal studs. They are used in most modern (post 1980) commercial building projects like apartment buildings. These are made from thin sheets of metal and would definitely NOT come anywhere near holding the weight of a hammock. I recently installed a pull-up bar in a wall with metal studs and it required major surgery: I had to remove a section of drywall and incorporate some plywood backing into a few studs so they could take the force–not something your typical apartment dweller can, or will want to, do. If you’ve got wood studs in your dwelling the eye hooks will work fine. But with metal studs you really should either not try it or you should get the help of an expert who can modify the structure to take the force. Thanks. That is good to know. In South Florida residential construction also has these metal studs. To hang my TV I put a board on the wall anchored to do different studs then mounted the television to the board. I am thinking that same kind of set up for a hammock, or a 2×4 anchored to the stud floor to ceiling and using that. Any thoughts? My eno came without the black ties? how do i get those? Are you talking about the hanging kit not coming with extra ropes? If so, it isn’t a big deal. You can use any rope rated 1,000 lbs or better. What I use in my house are lengths of webbing, mule tape to be exact. I tie a becket hitch with the webbing on the loops in the hammock. So if hanging on an angle due to a small room wouldn’t eye bolt be at an angle to the rope? Would this deflection cause issues? I suppose it can, depending on how acute the angle, and tight the hang, and how heavy the load. Most of my indoor bolts are not exactly even, but the angles are not small enough to be an issue. However, in my master bedroom, the only way I could set up a hammock meant a very tight angle, however, I haven’t had a problem with the bolts bending or timbers cracking, or other issues. I’m not saying “be reckless” — please be careful and thoughtful about how you want to hang, but from my own experience, it has been working very well. I have a finished attic with angled walls, (close to 45 degrees) Is there any reason I couldn’t bolt these to the trusses instead of the studs? What size eye bolts are you using in this video? I believe these are all 3/8 in lag screw eye bolts. Hey Derek, thank you for the article and the app. Hopefully I’ll get a hammock set up in my room next month. Do you know how wide the eye bolt can be before they compromise the intgrity of the stud? I bought some that looked the same size as the ones in the video at about 7/16″. It’s a little less than a half inch which is a third of the stud. Should I get a smaller eye bolt to be safe since it will probably hold my weight? With the soccer World Cup around the corner, a hammock could be an awesome substitute for a couch! I’ve been looking for answers to an indoor hammock problem… need one in a commercial office. The wall buildout has studs but it doesn’t go all the way to the structural ceiling. The drop ceiling it does connect to is just a grid with cork tiles and offers no load-bearing support of any kind. I fear that the eye bolt would hold nice and tight to the stud as the entire wall folds in like wet cardboard… considering Mr. Henriquez’s comments, is it worth trying? I’d really like to get this hammock up, but not at peril of the building! I’d hate to give bad advice with not seeing the space. I would recommend contacting the building manager and getting some support or advice on what to do there. If the walls aren’t load bearing, I think you have your answer. I’m already looking into building a stand, just seems smarter for the reason you mentioned. Thanks for the confirmation though! You mean diagonally? Or paralleling the wall? You won’t have room to lay if you bolt into a corner and parallel the wall, but that should be obvious. Diagonally is also fine provided the angle isn’t too acute. I have a hammock in my room that is very acute. It works. What I did though was place the anchor bolts on reinforced studs at the window and door frames. Consult an engineer or contractor for specific questions. Possibly. Much depends on the studs and the weight capacity of the eye bolt. Personally, I don’t find it comfortable to sleep two in a hammock since you will slide together. As long as you love synchronized sleeping, you should be fine. Hi! I’ve been sleeping in my hammock for the past 2 weeks and I hear like a cracking sound every time I move. I weigh 230 is cracking sounds normal with indoor hammocks? Probably NOT a good sound. What kind of anchor are you using? How big are the studs you drilled in to? What other factors are involved? Are you hanging straight between your anchors or at an angle? Okay. How big are your studs (2×4?) and you drilled exactly center? Is your hang angle about 30 degrees? In one of my indoor hangs I hear an initial creaking sound when I I first get in, but this hang is at an extreme angle from wall to wall so the stresses are higher than a perpendicular hang. Some folks create a bridge where they place a board that spans two or more studs and the anchor is attached to the board to help lower the strain on just one stud. What if you hang it at a angle??????? All hammocks are hung at an angle. Use the calculator to determine hang height. I hang my hammock strap over a door, resting on the hinge on one side. Then close the door pull the strap tight across the top part of the door. Do the same on a door opposit or diagonal from the first door. Works a charm. Been doing it on a lot of different doors, with my a few of my kids hanging with me in the hammock no problem. Never seen anyone else do it or write about it and I would like to share my experience. Happy indoor hanging. I do this at hotels when I travel. Works well! Could you describe this a little differently? I’m having a hard time getting the picture. I’m in a dorm, so this is the only option for hanging. Measure. Drill. Insert eye bolts. Hang. In a dorm room, you may not be able to drill holes in the walls, so the question may be moot. If you can drill holes, make sure you use the right hardware to work with cinder blocks or wood. Using a stand may be a better option indoors in some locations. If it were me going to college and living in a dorm room, I would build a pipe stand. If you’re going to use the eye bolts, use shouldered eye screws. Eye screws/bolts are meant to hold a force perpendicular to the mounting surface, or parallel with the shank of the bolt. Shouldered eye screws/bolts will better support an off-angle load such as the hang angle of 30* you recommend. Is there a chance of pulling the room out of square (I want to hang in my 2×4 framed workshop/shed)? Also is it best to use the load bearing or non load bearing walls in a room? Curious question. Would you be able to hang two hammocks from the same eye bolt? Wife is not even willing to try the hammock at this point but was curious if you can put two hammocks up on the same eye bolt in the stud? I’ve done that with kids. I would be hesitant with adults. Just thinking of the load strain. If it were a more robust connection then maybe. I tried this……and broke my tailbone when the eye bolt pulled out of the wall stud. It took many months to rehab this so just be careful. I probably drilled out a little too much or drilled into a weak part of the stud, but regardless, I’d be pretty nervous about recommending this hanging approach as is. Good observation. Any time you drill a pilot hole, it should be smaller than the screw, otherwise there isn’t enough material to hold it in place. I’ve done dozens of these installs and have never had a problem, but there always exists a risk. If you are worried about structural integrity or install, please consult a contractor or builder. Hi Derek, I’m trying to make a hanging space out of a pretty small room (8.5′ diagonal). It’s not ideal, but I feel I should be able to make a hammock work in that space, since some frame hammocks are only 8.5′ (but come with the frame). Do you have any suggestions about where to look for a hanging one, and how the experience will be impacted? There are so many models and vendors but all seem built for bigger spaces. You’re going to want to find a smallish hammock, no longer than 9.5 feet. While not 100% complete, you can do a quick search through my hammock database. I know the Hennessy models are right at 9.5, along with the Grand Trunk Ultralight. I’m really interested in using it to replace my bed, however the wall space is just over 10ft. Using you’re calculator, I punched in the information and it recommended a height to hang it. I was wondering if this is actually possible or if the calculator is just adjusting to the information i’ve given it. What I mean to say is is it feasible to hang something like that in that way and have it still be comfortable. That is a good question. The calculator will help, but it is adjusting. Big mayan hammocks typically hang at 45-degrees so they will fit in spaces differently. The hang point is also higher than a camping hammock. When I plugged in the numbers it appears to just fit. What I would do to test is to use a 14 foot rope and hold it in position and let it sag like a hammock. I have quite a bit of construction and rigging experience and I’m pretty good at physics. I’d be very wary of relying on a single eye screw into a 2×4 stud with a hammock. Personally, I’d cut 52″ lengths of 2×6 or I-channel steel (backed with furring strips, put washered eye bolts (not eye screws) into them, and lag screw them into four studs each, assuming my walls were framed 16″ o.c. as most houses are, to spread the load. There’s a very big difference between dynamic loads and static loads. Just calculating the static hang load isn’t enough. If you can contrive it, you might want to consider some engineered wood studs in the wall to hang your hammock from. Gemma, I am having trouble seeing this. Could u email me pls? I have a small cabin and want to reinforce hanging points before I install the walls. Thanks in advance. Wompol at hotmail. BTW, what you are calling an eye bolt is not an eye bolt, it’s an eye screw, and I wouldn’t recommend the ones that have open eyes like you used in the video. Find ones that are welded closed. An eye bolt goes into a hole and attaches with a nut, or threads into a threaded hole or insert. An eye screw screws directly into the substrate. Has anyone tried using a threaded insert into a 2×4 so you can remove the eye bolt when you are not hanging the hammock? It appears like the threaded insert will have sufficient pull strength. I’ve been thinking about this post in application to my apartment. I’ve seen the references to putting a board between two studs and hanging from it to give more strength. I’m thinking about putting an eyebolt in two adjacent studs, then run some webbing straps between them. I’d then attach the hammock to the strap. Seems like this would accomplish the same thing as using the board. Aside from the unknown inside the wall, so lets assume the wall construction is good, anything I’m missing here that would need to be addressed or done differently? Sounds like a good approach. You could even use a peice of chain. is it possible to hang a standard hammock from a single anchor point on the ceiling without a space bar? I have a hammock and the ability to hang hammock chairs only from my balcony, I truly do not wish to purchase a new hammock. This is a very interesting question. I suppose if you had a steel bar that was as least 10 feet long, you could attach a hammock to the two ends of the pipe. Then, from the center of the pipe, attach the single point to hang from the ceiling. You would need to have some stabilizer or floor anchor, otherwise the hammock would simply tip over to one side or another, much like a balanced scale. Hi, I am wondering if I can hang the hammock on two walls so it is just in one corner, therefore the hooks would be pulled at at an angle. Is this bad to do? Not necessarily. This is exactly what I do in my master bedroom — hang on an angle in a corner. Sometimes that is the only way to make it work. Just be sure you are on secure studs (I always pick reinforced studs like on window or door frames) and make sure to drill in the center of the stud. It does put extra strain on the hardware device and mine have twisted until they equalized. Hi, what a great site! We are renting a place whose owner had a hammock. The hooks are still in the wall. It’s a diagonal setup, and he said that we need a “shorter” hammock to make it work. I don’t quite know what “shorter” means and where to look. Any thoughts? What is the hang distance? Ok so I am not sure if I have drywall or plaster walls but I know if I have either they both have studs in the wall could I do it for either type of wall? Yes. The important thing is to find the studs, preferably reinforced studs like those around door or window frames, for extra support. Hello Derek, I am wanting to hang hammocks in my addition. I am getting ready to run the wire so I would like to get the appropriate studs in in which to put the I-bolts into. I can either re-enforce the wood studs with more horizontal and vertical studs or perhaps add in between the top and bottom plate. What do you recommend for new construction? Celing studs or wall studs? Honestly, I shouldn’t give construction advice as I am not an engineer. If it were me and I wanted extra security, I’d reinforce a wall stud. I’d probably drill a hole for a celing stud or joist. General contractor here. If your walls are already exposed and you know where you want to hang your hammock you can sister(double) the studs to reinforce. You can add Simpson corner ties at the top and bottom plates to make it even beefier. As an additional reinforcement the horizontal studs, usually called fire blocks, should be added in between the stud bays (usually code). Hope this helps. Happy hanging.. I am doing this mainly for the kids to have places to hang hammocks. Over the top of one another even to get more hammocks hung in the corners. I don’t know if the E-tracks are a good idea or not. They appear to be to me since they would provide a lot of flexibility. Again, thank you both for your help. Hi, I just purchased a chair hammock, the kind with a bar and attaches to the ceiling at only one point. I am going to hang it from the ceiling beams that lay above the drywall but am not sure what to use as when I went to the hardware store the hooks either said don’t use to hang human weight or said would hold only 75 or 50 pounds, or didn’t say anything at all. Also, should I use a spring? I wouldn’t use a spring. You’ll want to reinforce the hang point or find a way to brace it between multiple joists. When I hang between two doors, it’s usually at a hotel room. It’s a temporary, short-term solution. I place my strap through the door jam, around the door hinge. Close the doors, and hang. Love your post! I am planning on putting a hammock in my college dorm room. I believe that one of the walls in my room is concrete, and the other one is standard sheetrock on studs. How would you advise I attach the hammock to the concrete wall? I’ve re-read your post and re-watched the video, and could not find anything mentioning concrete screws. I would like to avoid having to order a hanging kit, as I live in Germany and would prefer to avoid the headache of ordering one, so I would like to know what I should buy at the local hardware store. I have never drilled into concrete, so I have no idea what I should expect and what I should watch out for (pieces of the wall crumbling, etc). Would it be easier (and maybe even better) for me to fix a piece of 2×4 on the wall using concrete screws, and then fixing an eye bolt/screw to the 2×4? This could be ideal, as I could make the 2×4 rather long and use it to hang jackets and coat as well (making it all pretty and stuff of course 😛 ). You’re right. I put it in a new post (I’ll cross link them momentarily). I should also mention that I am not a contractor, nor am I qualified to give you any advice about drilling into concrete. I would talk with a professional to get advice as to how to go about it. Concrete blocks are different than a concrete slab (hollow vs. solid), which will also make a difference I’m sure. Awesome stuff you have on here! I recently hung a hammock in my room and used the same screw in bolts and but I never drilled a pilot hole. Do you see this as being an issue? So far no problems…. Those are pretty big bolts to screw straight in. My worry would be splitting the wood. I’d monitor closely. Hey this is cool I was wondering if you could help me figure out how to hang a yoga hammock indoors. I am having a hard time finding info for safely hanging inside. I’m not as familiar with yoga hammocks, outside of what I’ve seen. They mostly appear to be single-point hammocks, hanging from the ceiling, correct? Or at least the to ends are very close together. Here’s some advice I found from This Old House that I really like. Tom Silva is more accustomed to working on the porches of older homes, where the condition of joists is often hidden by a finished wood ceiling. Rather than remove a section of the ceiling and have to replace the whole thing later, he prefers to cut a 3-by-3-foot hole in the porch roof and patch it when he’s done. From the roof, he predrills holes through the joists, then inserts 6-inch machine-threaded eyebolts through the ceiling and joists, securing them with nuts. (A threaded connector and nut can be used to lengthen a 6-inch eyebolt, if needed.) If the joists aren’t located exactly in line with where you want to put your swing, Tom advises hanging a timber between two joists, then putting the eyebolt through the timber and securing the nut. Where a swing is to be installed parallel to a single joist and older, full-dimension lumber isn’t in place, the joist should be sistered. Nice! This is similar to how I hang in hotels. Have you heard of someone doing this inside of an RV? This would be FANTASTIC in a toy hauler because many of them drop the back end as a deck (man cave). I’d be really curious how to do it without damaging the RV yet making sure it’s stable enough. Thanks in advance for any input you have on this. I’ve seen folks hang hammocks inside vans and buses so it’s no stretch to think you can hang in an RV. So my dad is worried about me pulling the studs out of the wall or damaging them if I mount my new hammock in my room. We have the eye hooks, drill, etc. But he is convinced it will not work and won’t risk trying it. We have eastern white pine studs in our house and I think they will be strong enough to hold me. I’m only 155 pounds anyway! Do you think two eye bolts in the studs will be sturdy enough and not pull my house down? Lol. By the way great video! I want to hang it exactly like you did on the video. Thanks! I don’t want to incur your dad’s wrath 🙂 I think you’ll be fine, especially if you drill in the center of the stud, and even better, drill in reinforced areas like a door frame or window frame. We live in an great older house (1860s) that has exposed ceiling beams. I’m sure they are strong enough to hang a hammock, but should I try to put a bolt all the way through the beam with a nut on the other end, or just go ahead and put eye screws into the beam? Does it matter? If you can drill through the beam, you can do exactly as you describe with washers and nuts. It’s a very secure method. The eye screws will work fine too, but I think if I had to choose, I’d go with the bolt and washers. Hey, I was wondering if i could screw into a corner stud for my eye bolts? Thanks. Also, if the bolt is longer than the stud is thick, do I drill through the stud and screw it in? I always drill pilot hikes. You don’t want to drill through your house or walls, so be careful. Maybe get a shorter screw? Turned out not to be as thin as I thought. But the corner stud ended up being metal, which royally screwed with the stud finder for some reason. Laying in my hammock as we speak :). Thanks for all the help! I bought a double nest Eno for Father’s Day and can’t seem to get it to hang correctly. When I try to lay in it, the thing encompasses me like a cocoon ! Any suggestions? Hi Derek, sorry if this was already asked. I’m moving into a tiny room – 9’8″ x 7’5″ – and I’m 6’3″ tall, so I need an XL. However everything I’ve read says most XL have a total length of 13-15′. If I’ve done my math right, even the diagonal length of the room is only 12′. Is an XL still possible in this space? Would I just be sacrificing how low it hangs? Thanks for your help! Remember that the hammock will hang with a sag, which reduces the length to around 80%. Check the Hammock Hang Calculator and see if it works out. I’ve got a rectangular room. One problem is two end walls are too far apart for a reasonable hang and it’s too narrow to hang from side to side. Other problem is that one end and one side wall is cinder block, the other two are drywall with metal studs. Thinking about affixing 2x4s with eyehooks to the two cinder block walls. This will have the hammock pulling slightly sideways as well as downward. Suggestions? Adding the 2×4 first is a good precaution. I think your plan sounds good. I recently found your website and decided to attempt installing a Mayan Hammock that was given to me while I was living in Southern Mexico. I have several questions though… I read in one of your posts that Mayan hammocks typically hang at 45 degrees, but whenever I use this value in your calculator I end up getting hang points that extend toward the highest points on my wall (I only have one balcony door frame, so my options for anchor points situated on reinforced studs are limited). Also when I lived in Mexico, I remember the eye bolts were seldom higher the 5 ft which I can arrive at on the calculator if I lessen the angle. So I was hoping for some clarity on that. My second question is: How important are the suspension lengths? My hammock came with a loop of rope, knotted to the threaded handles on each end of the hammock, measuring 9.5 inches out (not including the handles), where I used to just attach an S hook to that and the eye bolt. For convenience I’d like to just use this for suspension, but only if it doesn’t matter too much in the long run. My last two questions are: Do larger eye bolts equate to more carrying capacity? And, in one of your posts you said you were using a 3/8 in. eye bolt, and in the video you said you were using a 5/16 bit- There’s also a post by a contractor (Ricardo Henriquez) who mentions that it’s best to use a bit that’s 1/3 to 1/2 the size of your eye bolt. But you’re using a bit that is 5/6 the size of your eye bolt- I’ve never done this before, so I was hoping you could shed some light on how important this is. Thank you for your time! Hey John, sorry for any delay. A Mayan-style hammock has nettles and a loop at the end, but all of that is considered part of the overall hammock length–from end to end. Make sure you use the full length for the measurement of your hammock. It may change the calculation. The good news is that if your hammock is long enough, you won’t need any extra suspension to span the distance between your anchor points. I have a Brazilian hammock that I can just hook like you describe, directly to the eye bolts. As for the eye bolts, they will say on the package what they are rated to, which is also a safe working load limit, not the breaking strength. I also use climbing anchors in my house, so whatever you feel most comfortable using, make it work for you 🙂 Thicker hardware is typically stronger. In terms of the pilot hole, you want it to be slightly smaller than the bolt size, otherwise the bolt won’t have anything to bite into and will easily slip out. I’ve been using my eye bolts for years now, with all kinds of horse play (thanks kids!) and demos with adults, and they’ve been holding up fine. Hi Derek, I am constructing a house and have a mayan hammock like the previous gentleman mentioned which needs to be hung outdoors. The total length of the hammock is about 13′ 10″ including the nettles and loop. In this article, you mention that minimum distance between hang points is 9′. 1. In one of the locations where I want to hang the hammock, the distance between hang points is only 8’10”. Is that an issue? 2. When I use the hang calculator and use the total length of the hammock like you mentioned above, for the location where distance between hang points is 8’10”, the calculator is giving the hang point height as 48.6 inches. But, when I use the hang point distance for the other location which happens to be 9’10”, the calculator spits out a hang point height of 52.1 inches. I maybe wrong here but when the distance between hang points increases, the hang point should go lower not higher right? Please clarify the calculation. Appreciate your great work here! I should clarify what I meant with that 9 foot distance. A typical all-fabric, gathered-end hammock is around 10 feet long. These are your ENO, Grand Trunk, and other parachute nylon, run-of-the-mill hammocks. Traditional Mayan and Brazilian hammocks are much longer, like yours, and so the minimum distance is a little different, but not by much. Longer, wider hammocks, like the Mayan/Brazilian style, should be hung at a deeper angle than a basic hammock, so even though they are longer, they can often fit in a short 9-foot space. The hang point will be higher, however. I hope that makes sense. The hang point is dependent on the length of the hammock, the sit height, and the hang angle. Let’s say your distance is 9 feet long and you have a 9 foot hammock and you hang it nearly flat. Your hang point would be just slightly above your sit height. If you keep the sit height the same (this is common) but you increase the hang angle, the ends of the hammock are going to raise up. You will begin to need some suspension to span the distance between the end of the hammock and the wall. For a shorter distance like what you have, the hang point won’t be as high since the walls are closer together. If the walls were further apart, then the hang point would also be higher. Email me if that doesn’t make sense. Ahh! What we will do for our hammocks 🙂 be sure to send photos! Hi, I also have a rental I really want to hang a hammock in. I’m ordering a cotton Mayan (if that even makes a difference). I would really like it if it could hold my boyfriend and my kids when they climb in. Is this possible to do in a rental? I can do spackle and paint work, but I really want to make sure this is something I can pretty easily fix up before I get started. My room is ten by nine, so I’ll have it diagonal in the corner. Or is there such a thing as a super sturdy stand, like one I could share with my bf, if you know what I mean. P.S. I don’t mind if it takes up most of the room, I’m just looking forward to sleeping better Thanks! Give it a try! I love sleeping in my hammocks indoors and do it regularly. Large cotton Mayan or Brazilian hammocks are very comfortable and work well indoors. If you risk a fine for drilling holes in the walls, I would recommend getting a stand or building a stand. I have a few examples on this website. Can I hang 2 hammocks on the same anchor? Example…. I have 2 sets of anchors for each of my hammocks running perpendicular to each other. Can I also hang a 3rd hammock diagonal? (Would form a triangle). Everyone weighs < 200 lbs. thanks! I’M NO GENIUS. I want to bring a little turtledog stand innovation into the picture for those people who feel unsure about the integrity of their home or apartment construction. First, get a 2×4 or 2×6 a smidge tall enough for each anchor point of the installation. 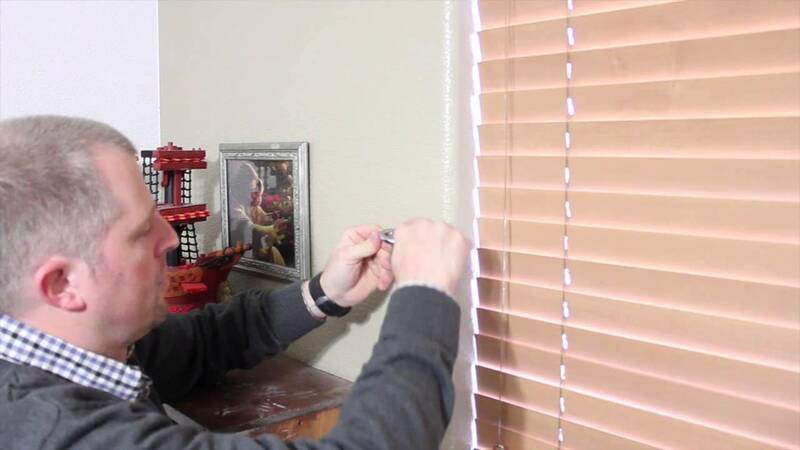 Set one end on the floor and use a boatload of finishing nails to attach boards vertically to the walls from where you want to hang–apartment dwellers should leave 1/8″ of nail sticking out so you can easily take it down when you move out. I’d pound the nails in at an angle to help keep the 2x on the wall. We then get enough chainlink fence top rail to bridge the distance between the planks–they come in 10′ pieces with one end tapered to fit into another. Then for each end, Heavy-Duty White Closet Pole Sockets http://www.homedepot.com/p/Everbilt-1-5-16-in-Heavy-Duty-White-Closet-Pole-Sockets-2-Pack-HD-0010-WT/205561117 –get two sets unless you can grind away enough of the closed bracket to make it usable. In use, raise one end of the rail, slip your whoopie or strap over the end of the rail on the side of the bolt closer to the end, lower rail and repeat for other end. And paint the boards so they look like the previous tenant put them there! The diagonal approach will work great. It doesn’t matter if you install the bolts on the side. Hey Derek, Could I use this same idea to hang a Hammock in my cargo enclosed trailer ? Does anyone have comments or experience doing this? I have a Eno for it . Yes if the structure is solid. I just want to say thank you. I have a weird nook in my living room I didn’t know what to do with. I don’t recall exactly how the idea came to me but on a whim I bought a Brazilian hammock off Novica (I have never spent any amount of time in a hammock and this is the first I have ever laid in that did not have a spreader bar). When it came I was so excited but then realized I had absolutely no idea how to hang it (or the physics involved). Then I found your site. I spent hours reading and watching the articles, comments, and videos you have provided. I found a friend much handier than I and then believe it or not, was able to explain the physics involved to him. I am now very happy to report that my hammock is up and because of you I am able to relax with peace of mind knowing my house will not come crashing down around me nor will I wake up with a bruised tailbone. Thank you for providing the knowledge necessary to give me to the confidence to make it happen. It may seem like a small thing, giving someone a math lesson, but it means everything to me. Thanks Emily! You made my day! I bought a hammock in Guatemala, came home and bought the eno kit along with some paracord. Because of how it was made it will not fit in the carabiners. My hanging space is 12.5′ and my hammock is 12′ 3″ from eye to eye (where I can attach cord). What do I do? If you want a picture email me, I can’t add one here. I live in an apartment building and my balcony walls are cement, or maybe one would say concrete/block walls. Is it possible to hang a hammock? Yes. Just use the appropriate anchor bolts. Consult with a building manager. Derek, thanks for all the info on the site. I may be dense, but could you explain how to use the calculator for hanging a hammock not from a wall but from ceiling joists, on both ends? For example, is the “angle” to put in the calculator just the angle from an imaginary vertical line perpendicular to the ceiling point of attachment? Anything to consider differently when talking about both attachment points being on the ceiling? This version of the calculator doesn’t do well with ceilings but I’m working with the developers on an update. You basically take the hang angle and continue the Suspension along a straight line until it intersects with the ceiling. With the calculator, play with the hang distance until the hang point equals the ceiling height. any advice if its a hammock floor instead? Any suggestions for a Florida house. I have one inside wall with studs, but the opposite wall is drywall with 3/4″ strips and then block. Is the block filled with cement or is it hollow? Should be hollow except for every six feet where it would be a steel reinforced concrete column. Are you thinking “toggle”? Also, after the original post a couple years ago, are you still in a hammock? I have recently purchased a round marrakech swing chair and wish to install it indoor. I live in FL in a newly built home. Would hanging it on a joist compromise the structure in any way? Or am I safer to go with a frame stand instead? Any tips would be appreciated..
You need to make sure the mount is solid and the weight is equally distributed. When in doubt contact a contractor or structural engineer. Or grandpa. Hi, I would like your advice on how to install a hammock chair on a drywall type of ceiling. I am afraid it would not hold it. What advice can you give me? You’re going to need to install a ceiling mount. It’s not trivial. Consult a general contractor for details. The studs, typically 2×4, would be next to the window frame, yes. I can’t speak directly to your situation, so contact a local contractor for specific questions. First off, thanks to Derek for such and an informative article and a great calculator. Like the song, STOP… Hammock time. I live in Portugal. Most homes here are concrete and brick. Basically, you have concrete pillars at the corners or in between set distances and clay (some concrete) bricks to fill the gaps. Trick is, bricks are hollow and pillars are tough as hell and have rebar in them. Drilling in pillars is not usually an option as the chance of hitting iron is high. In the bricks, as a standard approach, I would say people use brick anchors with some sorte of hook and plate, but that does not work for me. I’ll be using a chemical compound to secure a large steel rod (16 mm) into the wall and the use a “female” bolt in eyelet or some sort. Hopefully it works as I’m not a light person. I think I’m overdoing it, but I always go safe. I’ll update as it goes. I need to hire a guy to fo the drilling. My drill is not powerfull enough. I was doing my final preps and started doubting the placing. I’m hanging this on my bedroom that I am converting into some sort of exercise room (dojo). I’m placing a punch bad on a corner and some other stuff. The room is only about 10′ x 12′. I’ll set the hammock up to I can take it off (or at least hang it to one side to clear room), but… should I go near or away from the window (south facing) feet into window… Also, how much clearance do I need on the sides? Sorry for all the doubts. I am a Youth Pastor and many of my students are big into hammocks. I’m really starting to enjoy them too. I would love any suggestions on how to hang multiple hammocks in our student building. Its basically a metal building, but the layout prevents connecting to the walls. We have 2 large steel beams (14″ tall x 7″ wide) running the length of our building (27 feet). They are 15 feet apart, and perfect for hanging multiple hammocks. However, they are 10.5 feet off the ground. I’m not sure if longer straps would work… Any ideas would be appreciated! Thanks in advance! Hey Justin! Sounds like a fun project! I would recommend hanging down from the steel beams, but the trick is getting anchor points set up. Are the beams solid or do they have openings where you can make attachments? Email me directly and share photos. My hammock app can also help approximate the hang distance with a ceiling hang point. Should I put a ridgeline in the hammock first and then hang it? Or do i just use the calculator? The calculator assumes a default ridgeline based on the hammock size and angle. It’s essentially calculating a triangle. If you have a specific ridgeline length add it, but it isn’t required. Can I do this if I am renting? I got the ENO indoor hammock hanging kit for my room but have since decided to make my own hammock stand. Would the kit work for a home made stand? The hanging kit is nothing more than anchor bolts. I’m not sure what kind of stand you’re trying to make, but it should easily bolt onto any wood project.